The 60 key colors of the new season as original PANTONEÂ® Swatch Card Strips and Chips for your own color concepts! The color card Essential Color Summary (ECS) provides you with a reliable overview of the most important seasonal colors in the fields of womenÂ´s, menÂ´s and childrenÂ´s wear as well as sportswear and interior. Compiling the colors relies on the "last minute principle", made by experienced trend experts and based on the latest information gleaned from leading specialist trade fairs, publications and trend information. 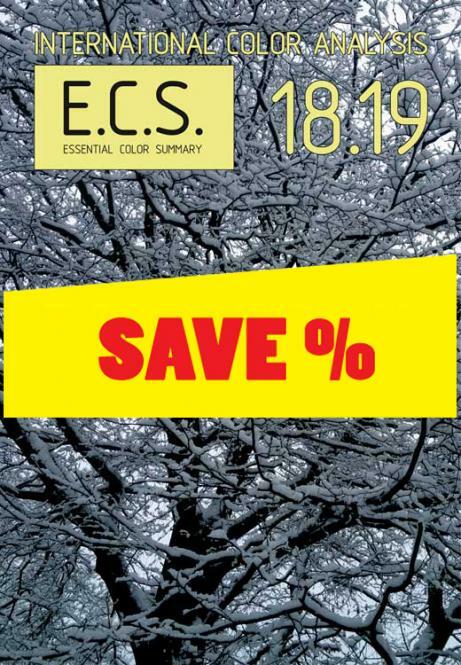 This innovative concept means that the ECS color card not only applies to the fashion branch but also is seen as important key information and a practical working tool in other design areas. At the same time, it remains a practical tool for compiling individual color concepts. - This means 55 square centimetres of working material per trend color for the individual composition of color ranges and harmonies!